Affordable. Convenient classes. In three years. 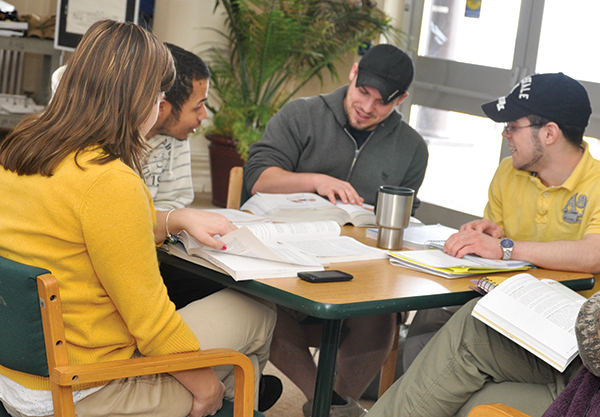 Earn a Bachelor of Science from Cazenovia College on the Clinton Community College campus. While other programs may promise quick results, this may not be for all learning styles or busy lifestyles. At Cazenovia, the upper division course work will take about three years to complete, taking two or three classes per semester at night and online. Taking it a bit slower means that you’ll have time in your life for your job and your family. We bring the program to you. While transferring to other upper division programs means that you’ll be going to a new and unfamiliar school, this program allows you to continue taking classes on the Clinton Community College campus. The relationships you've built at Clinton are still there, and so are you. You will need to take one class on the Cazenovia College campus. This class will be offered over two long weekends during your second summer in the program. Housing and meal plans will be provided. Whether it’s the tuition rate or the desire for a high-quality degree leading to employment, Cazenovia College is the right answer for many. We are ranked by U.S. News & World Report as one of "America's Best," yet we remain committed to having a small, high quality program. You aren’t just a face or a number to us; you are part of our Cazenovia College family. 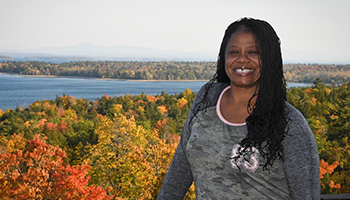 "My experience through the continuing education program has been great. I've meet some really nice and encouraging teachers, advisors and have made new friends. Caz has helped me to reach one of my many life goals."